Ending Violence Manitoba – Ending Violence Across Manitoba is helping victims and survivors of domestic abuse and sexual assault to connect with service providers province wide. We welcome you to the Ending Violence Across Manitoba Inc. website. Our mission is to foster the coordination and collaboration of programs, organizations and government that work together to end domestic and sexual violence in our province. We want to issue a special Thank You to the Government of Canada’s Victims and Survivors of Crime Week for funding the development of this website. 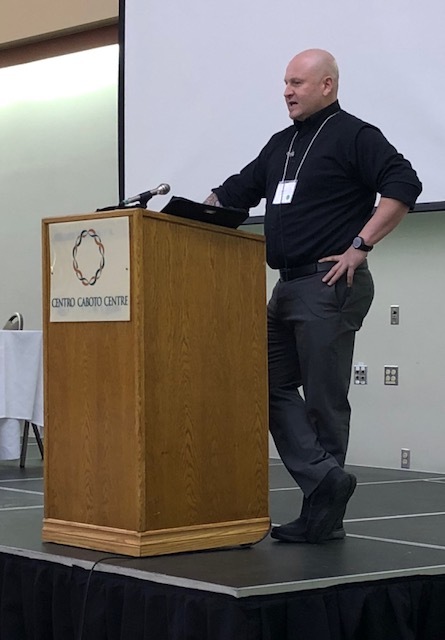 Detective Mark Cowell presenting on Gathering Digital Evidence at the Technology and Domestic Violence Conference on November 1, 2018.